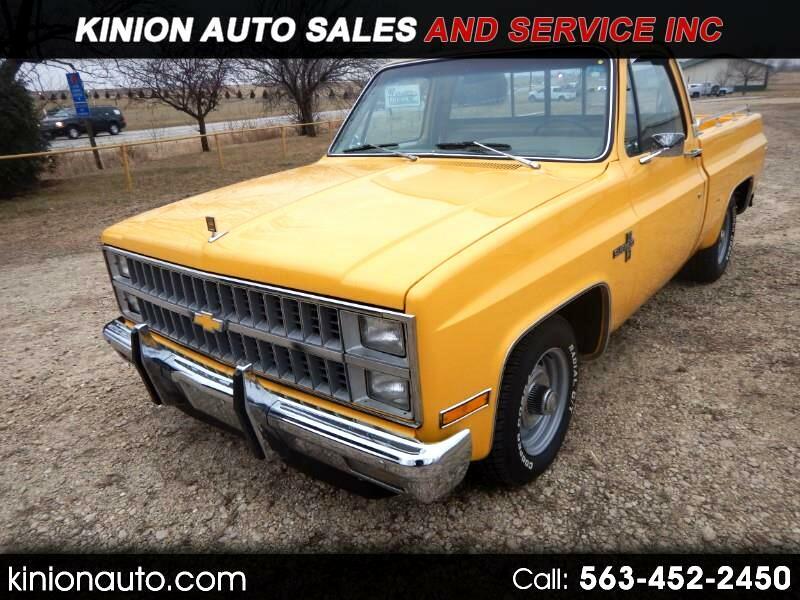 Used 1981 Chevrolet C10 for Sale in Clarence IA 52216 Kinion Auto Sales and Serivce Inc. This Super Clean Rust Free 1981 Chevrolet C10 Silverado Pickup Has a 383 CI Engine Backed With a 350 Turbo Automatic Transmission and Positraction Rear End! This Yellow Beauty is Lowered 4 Inches With New Bumpers, New Wheels, and New Tires! Message: Thought you might be interested in this 1981 Chevrolet C10.